When it comes to cloud services, there are many options and configurations available. It can be hard to decide what’s going to work best for your specific needs and how to make the most of your budget. We have experience assessing the needs of various business models and can help you design and implement a cloud system that will help you improve productivity and efficiency while still staying on budget. Establishing the right fit and technology for your individual company is key. 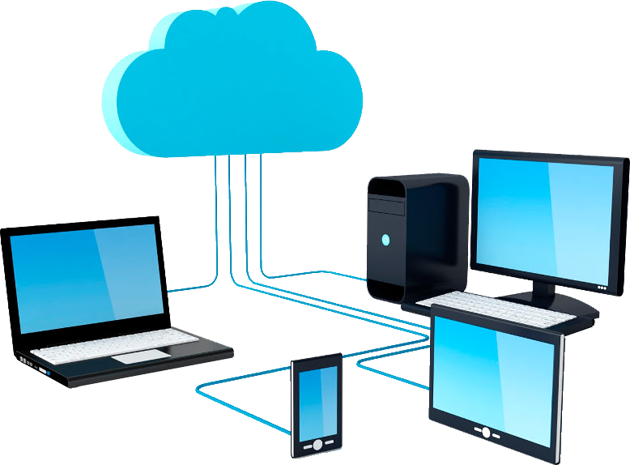 Cloud services can provide improved access, superior loss prevention and redundancies, and simplified maintenance requirements. A secure server allows you to cut your hardware costs by eliminating the need to purchase your own server.Secure desktop connections can be set up on the cloud with specific users and applications, and can also be accessed remotely from wherever you are by using iOS, Android and other mobile devices. Have access to your entire suite of Office programs from your PC, iOS, Mac or Android device. Secure email, instant messaging, shared calendars and online collaboration are all available at your fingertips. Cloud-based email provides automatic digital protection to preserve your data. Custom configurations allow you to access your email seamlessly from your mobile device, at any time of day, from anywhere in the world. At I.T. ISIN Solutions, we provide 24/7 redundancy, assistance and advice. We believe in building relationships with our clients; the technician you speak with will always be familiar with you and your company. Call us for a consultation today to see how we can help improve your business productivity.